Need a home inspection in Newington? The town of Newington, Connecticut is located in Hartford County, adjacent to New Britain and Berlin, and only a few miles southwest of the city of Hartford. It’s a residential suburb that is considered part of the Greater Hartford area. As such, most folks living in Newington commute to work in Hartford, though Newington itself also has a strong economy. The population of the city is around 30,000, and the median family income is very high compared to the average in the US, at $79,792. Only about 3.5% of the population live below the poverty line. While many Newington residents commute to work, several large companies operate in Newington itself. The Connecticut Department of Transportation is a major employer, as is the Target Corporation, Hayes Kaufman Newington, Cedarcrest Regional Hospital, and Data Mail. CTtransit and the new CTfastrak line serve the area with bus service, and connect Newington to the nearby Amtrak station in Berlin, which provides passenger rail service throughout the area, including to Bradley International Airport. Major roadways in the area include US Highway 5 and State Routes 174. Access is also available to I-91 and I-84. Education in the area is provided by Newington Public Schools, a very highly-rated public school district. Emmanuel Christian Academy, a private K-6 school, also operates in the area. 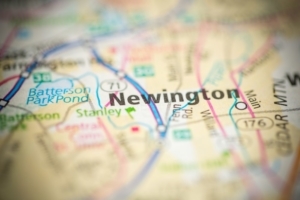 Curious to learn more about life in Newington, CT? Want more information before you start looking for a job, school, or home in the area? We’ve got you covered. Take a look at a few of these following links and resources to get all of the information you need. Interested in moving to Newington, CT, and need a home inspector to help you with a potential real estate purchase? At Renovee Inspections, we’re experts at home inspections in Newington, CT and the surrounding areas. You can trust us to deliver stellar service at a reasonable rate, and keep you in the loop throughout the entire process. If you’re ready to get started, you can contact us online to get more information, or schedule your appointment immediately.